The Miami Dolphins have dealt with their fair share of early-season setbacks. First, the Dolphins’ season opener was derailed after Hurricane Irma tore through South Florida. Shortly after, starting linebacker Lawrence Timmons went AWOL as the Dolphins prepared for their first game of the season. Then, former offensive line coach Chris Foerster was caught doing drugs within the Dolphins’ facility and subsequently resigned from his position. Despite all of this, the Dolphins sit at 3-2 and are well within striking range of taking the AFC East lead. As the Dolphins prepare for a crucial matchup against the divisional rival New York Jets this Sunday, head coach Adam Gase recently reflected on how much this team has already overcome. 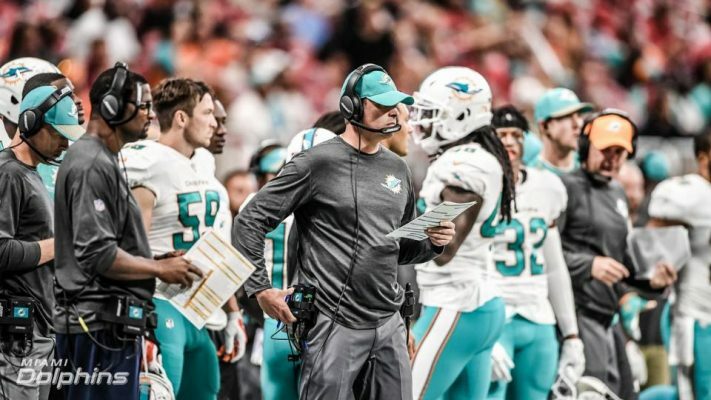 Gase went on to applaud his players for their ability to take all of the off-field distractions in stride and continue to focus on the task at hand. The second-year head coach listed players like Ndamukong Suh and Cameron Wake as veteran leaders, but also named newcomers like Anthony Fasano and Jay Cutler as players that have helped keep the team focused. As Habib noted, Gase’s faith in his players was on fully display in Week 6’s comeback win against the defending NFC champion Atlanta Falcons. On two different occasions the Dolphins went for it on fourth down. The offense was able to convert on both occasions and those two drives lead to 10 crucial points. For tight end Julius Randle, Gase’s decision to be aggressive with the game in the balance spoke volumes. After seeing how his team responds when the going gets tough, it’s no surprise that Gase trusts his players to succeed when it matters most. There’s still a lot of football to be played this season and the Dolphins are far from booking their ticket to the NFL Playoffs. As we approach the midway point of the season, however, Gase will surely look to turn the Dolphins’ early-season setbacks into something that brings his team closer together as players and closer to their shared goals.